Merry Christmas and Happy New Year to all our customers from the team at Multicharge. Our offices will be closed from 5PM Friday 21st December and will reopen Monday 7th January 2019. During this time we will be able to answer some of your enquiries and any urgent matters via email, however all other enquiries will be dealt with when we return in the New Year. Thank you for your support and we look forward to serving you in 2019! As the largest housebuilder in the UK, Barratt Developments Plc knows a thing or two about expert construction. 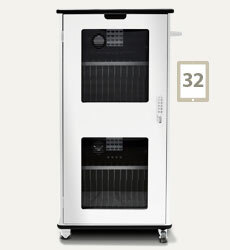 When they contacted us and explained their mobile charging needs, we were happy to provide a 32-tablet charging trolley. Barratt is a very recognisable name in the building sector and brand visibility plays an important role in their prominence. 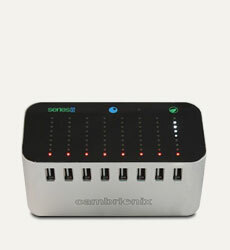 That's why we made a point of including their logo on the charging trolley, reversed out elegantly against the black. This is now in use in their Head Office. Do you need a charging solution with branding? Whether it's for corporate, conferencing, healthcare or anything else, we can help. Get in touch with us today. Our popular Swiss Series Charging Trolley continues to attract attention from big names. Bloomberg recently opened a new European headquarters at the heart of the City of London. Designed by a previous client of ours, architect Foster + Partners, their new state-of-the-art building places heavy emphasis on innovation and sustainability. 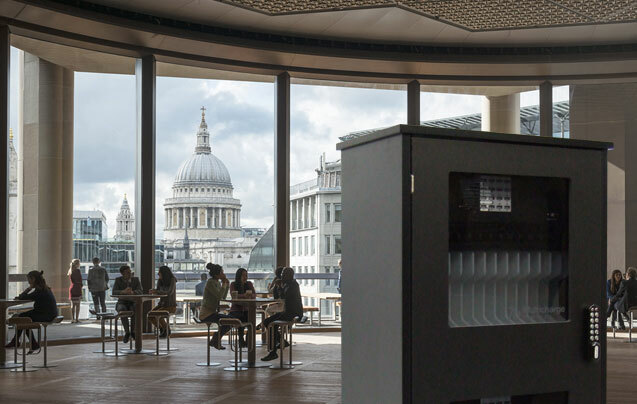 With 4,000 London-based employees under one roof and a wealth of different electronic devices, Bloomberg approached us to provide a charging solution that would blend in with their groundbreaking architecture and 21st century office design. Having previously designed a unit suitable for 24/7 use (one already benefiting the NHS) we decided to develop a solution for Bloomberg based on the same proven technology but thoughtfully tailored to complement their own particular image and surroundings. 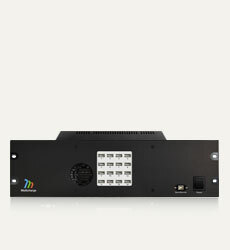 The result: a range of very slick black charging units that sit discreetly in and around the building to keep employees' devices charged at all times ready for when they are required. Do you need a charging solution to fit your surroundings? Whether it's for retail, conferencing, car showrooms, stock control or anything else, we can help. Get in touch with us today. 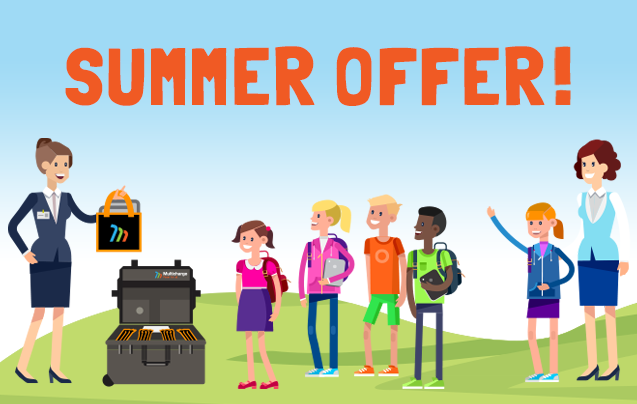 Get ready for the summer with a discount on our 16-tablet Charging Case with padded bags. Great for outdoor use as well as in, the case is feature-rich, easy to use and offers excellent protection for your devices. It comes with a three year warranty and if you buy your USB cables from us, we will even fit them free of charge. Take advantage of this great offer while it lasts. Click here for details. Multicharge will close for the Christmas break at 2pm on Thursday 22nd December and will reopen at 9am on Thursday 5th January 2017. During this time we will be able to answer some of your enquiries and any urgent matters via email. All other enquiries will be dealt with when we return in the New Year. We trust this will not inconvenience you too much. Thank you and have a great holiday. Bett 2016 - thanks for coming! A big thank you to everyone who came to see us at this year's Bett show at the ExCel centre in London. We had a great time and were delighted to have had the opportunity to meet so many of you and show you our latest products. Our new Swiss tablet trolley attracted plenty of attention. 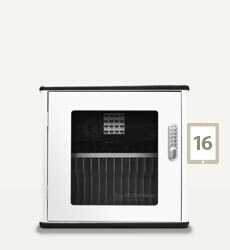 Not only do these look great and benefit from plenty of features, they're also the smallest 32-bay charging trolleys on the market - something which seemed to go down well with many of you. Also receiving great feedback were our updated charging stations, our unbelievably strong tablet charging cases (which now come in a choice of three interiors - foam, plastic dividers and bags), and our new tablet carry bag, a compact padded bag that many of you told us would come in handy for carrying multiple tablets. Over the course of the three day show, we met many interesting potential customers and the feedback we received was really positive. We look forward to supplying you with our quality products and finding out more about your tablet-charging requirements over the coming months. Multicharge will close at midday on Wednesday 23rd December and will reopen on Monday 4th January 2015. During this time we will be able to answer some of your enquiries and any urgent matters via email. All other enquiries will be dealt with when we return in the New Year. We trust this will not inconvenience you too much. Thank you and have a great holiday. 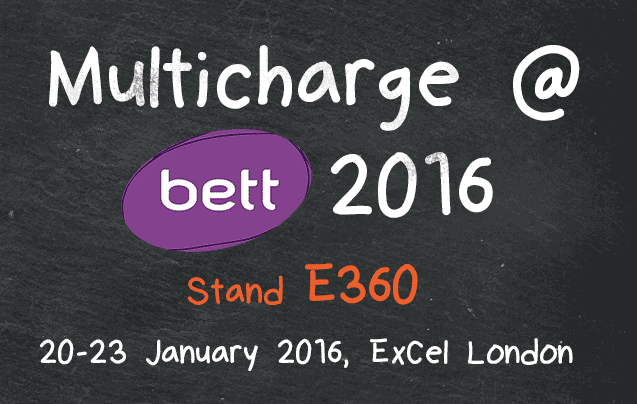 We are pleased to announce that we will be exhibiting at Bett 2016 in January. Bett is the world's leading learning technology event and inspires educators to connect with one another and discover the latest learning technology. We will be showcasing a selection of our products aimed at staff who manage multiple tablets and other chargeable devices. The show is being held at ExCel London and we will be there from 20-23 January 2016. If you are visiting the show, come and say hello. We will be on stand E360 and would be delighted to meet you. 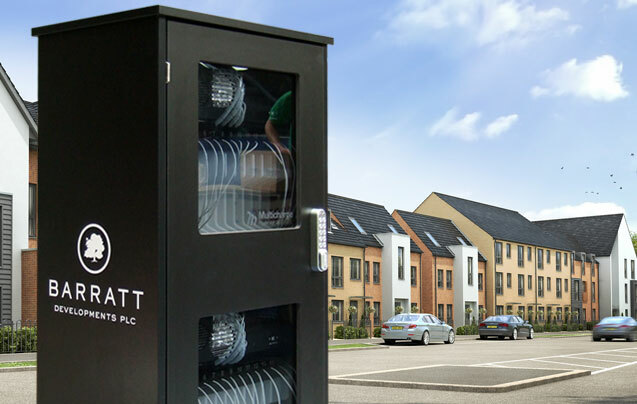 Multicharge is delighted to announce that our product offering now includes the range of charging cases and trolleys formerly known as GoCharge. 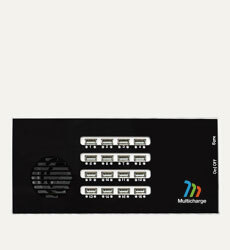 The GoCharge range has always depended on Multicharge technology to provide crucial charging and syncing features. By unifying these products into a single brand and offering them as a dedicated company, we can strengthen our product range and deliver an even better service for our customers. The eagle-eyed among you will notice that we have a new mobile-optimised website too. The site will continue to grow over the coming weeks and months as exciting new products are added. Be sure to keep it bookmarked. If you have any queries relating to GoCharge products that you have purchased previously, you can contact us on 01275 858 477 or fill in the contact form. Alternatively, please refer to the support page for downloads and further information. The range of charging cases and trolleys has already proven to be popular and we look forward to taking our products to the next level as Multicharge, the new home of multiple device charging. The Bett Show is coming up fast. We will be exhibiting at ExCel London in January 2015 and will have on display our new GoCharge range of products. As the world’s leading education technology event, Bett is a great place for everyone involved in learning and technology. The event has been running for over 30 years and attracts over 35,000 industry professionals. This year sees keynote speeches from, among others, Wikipedia Founder Jimmy Wales. We will be there from 21-24 January and if you are an educational establishment (or if you are attending in any other capacity), we would be delighted to see you there. Come and meet us on stand C514. New cases and trolleys to charge, sync, transport and store multiple tablets. Case company SAM Cases have just announced a new line of cases and trolleys aimed at teachers who manage multiple tablet PCs. The range, known as 'GoCharge', let staff of all education levels charge and sync multiple tablets while also providing easy transport and storage. Setting them apart from other charging solutions is their strong emphasis on protection and peace of mind – something recently recognised by Apple who chose GoCharge after extensively testing the competition. The cases are waterproof, impact resistant and portable, making them ideal for both the classroom and school field trips. Each case charges up to 16 tablets such as the Apple iPad and Google Nexus in roughly the same time as it takes to charge just one, while a unique design means that charging can occur with the case lid open or closed. 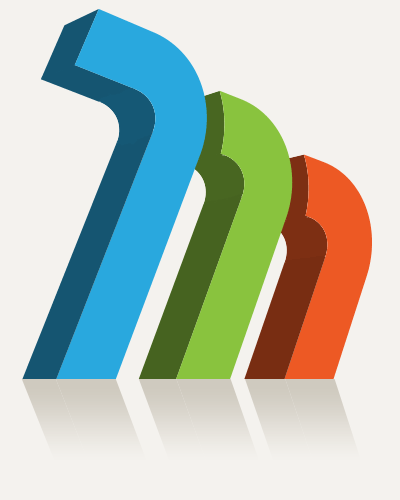 Tablets can also be synced so that learning materials can be shared between devices. 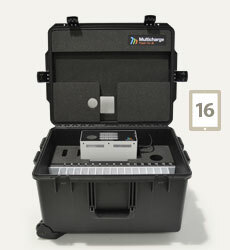 The cases are based on the world-class Peli brand, renowned worldwide for their unbeatable protection. The trolleys offer even greater capacity, holding up to 32 tablets. They come in a choice of two contrasting styles: a black steel model with perforated front door, and a white fibreboard model designed to complement school fittings. Both come fitted with a digital lock to help keep devices safe and secure. Chunky handles and braked wheels are designed to make it easy to transport multiple iPads and other tablets between classrooms. 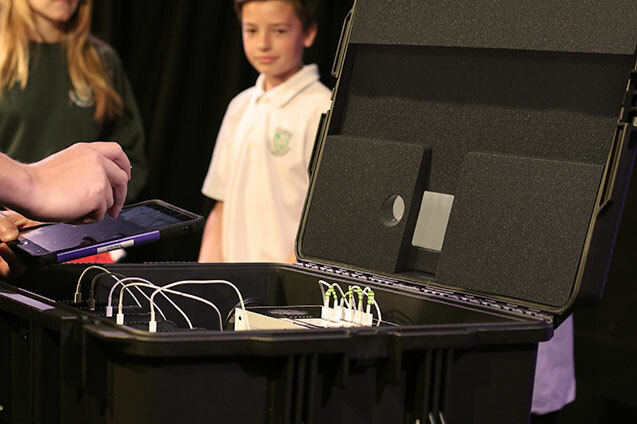 "With iPad and tablet use soaring in UK schools, ICT staff are now looking for ever more efficient ways to manage multiple devices," says Steve Addy, MD of SAM Cases Ltd. "We were determined to go the extra mile with GoCharge which is why we spurned the quick and easy route in order to achieve maximum build quality and safety, achieving CE certification and offering a three year warranty. We believe staff will be reassured by these extra measures and we are proud to be helping UK schools save time, energy and money." The company also builds bespoke cases, trolleys and cabinets for other makes of tablet as well as other USB-chargeable devices such as digital cameras, smartphones and e-readers. 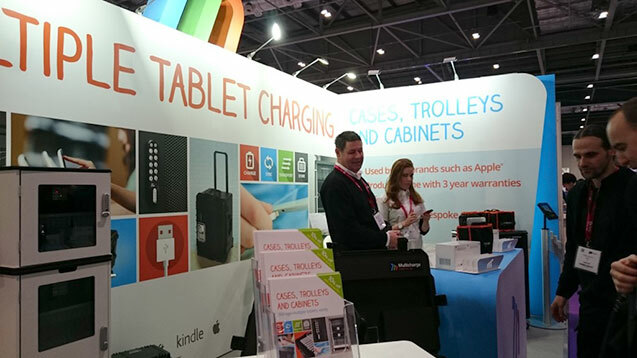 GoCharge will be exhibiting at Bett 2015 on stand C514 from 21-24 January at ExCel London. To find out more, call 01275 866 366. GoCharge will be exhibiting at this year's Home Office Security & Policing Event, organised by ADS. The exhibition provides an opportunity to showcase world leading products and services, bringing together people with operational needs with companies that have the relevant solutions, all within a secure environment. The event runs from 11-13 March and is held at FIVE, the Farnborough International Venue & Events. If you happen to be attending, we would be delighted to meet you.